Last week, in one of the most controversial stories in recent history, WikiLeaks released a trove of documents that details the tools that the Central Intelligence Agency (CIA) uses for hacking into personal computers, web servers, smartphones and even televisions. WikiLeaks, the website that has become notorious for its publishing of secret information, news leaks, and classified media from anonymous sources, is in the news once again with its most recent data dump. 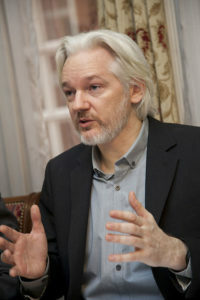 In the past, WikiLeaks has been in the news for assisting Edward Snowden after the whistle-blowing incident in 2013, and has been responsible for releasing sensitive documents that reveal provocative information about operations in the War in Afghanistan, the Iraq War, and Guantanamo Bay. While this revelation of these hacking tools has far reaching implications, some of the most controversial tools, for example, are being used for turning internet connected devices into bugs or listening devices, or even giving the hackers the ability to sidestep the security features of end-to-end encrypted chat apps, like WhatsApp. Not only does the CIA actively develop tools for hacking into devices, but they’re also actively “hoarding” weaknesses and vulnerabilities of some of the world’s most popular consumer electronics, which is likely in violation of the Vulnerabilities Equities Process, established under the Obama administration. A few days after the initial WikiLeaks press release, the organization’s founder, Julian Assange, came forward and explained their intentions to work with manufacturers of the targeted devices (e.g. Apple, Microsoft, Google, etc…) to help them defend themselves against the CIA’s hacking tools. The authenticity of the leaked documents are still being debated, but the CIA has yet to make a public comment on the topic. Although some government officials believe the documents to be real, Edward Snowden came forward this week and explained how he believed the documents to be authentic as well. While WikiLeaks is probably doing the right thing and trying to use the information for good, rather than evil, nothing is stopping the CIA and other U.S. intelligence agencies from continuing to develop new and more advanced hacking tools. Many products and/ or companies claim to be extremely secure or boast the most secure platform available, however, it’s now abundantly clear that with enough time, money and resources, the government can find anything it’s looking for regardless of the security protocols in place. As time goes on, stories like this are becoming more frequent. It shouldn’t be a total surprise to most, that a government spy organization has the tools to hack into almost any electronic device, but this story somehow makes it more real and gives thought to how these tools could be used on innocent U.S. citizens. Data privacy and crisis related stories are becoming a regular occurrence in the news cycle, and it’s obvious that regular, every-day people must take the appropriate steps to ensure that their privacy is secure. Abine’s Blur is the first step to re-gaining control of your personal information. Sign up for Blur today, and take back control of your personal data. New users receive 50% discount on a 1-year Blur Premium subscription.